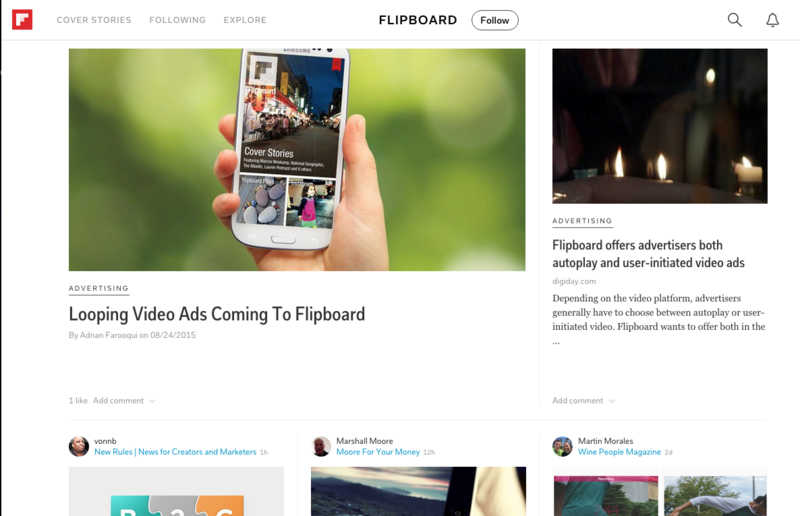 Flipboard is reportedly expanding its advertising offerings with new video ads. These include short (3 to 8 second) segments aimed at getting users to watch the rest of the video. The segments are referred to as “Cinema Loops”. The ads are reportedly charged for per mer impression or per engagement. As the company expands its advertising efforts, it’s also doing more to improve the user experience, which should in turn help advertisers. We caught up with Flipboard earlier this month as they told us about new algorithmic changes including filtering based on other people’s reading behavior and a new voting system for content. They also have new analytics offerings. More on all of that here.